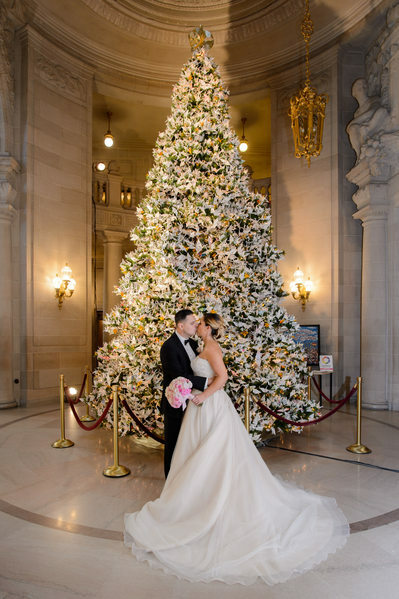 Christmas is one of our favorite times of the year at San Francisco City Hall. It's also some of the most busy times! 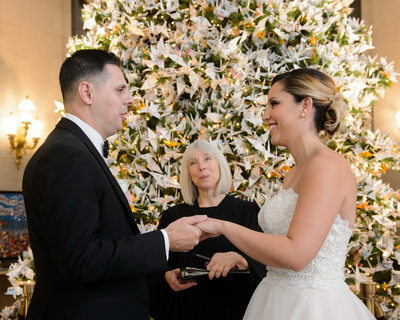 Brides and Grooms often schedule their wedding in December to take advantage of the beautiful and seasonal decorations at city hall. 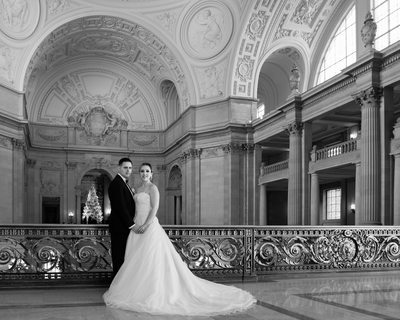 This is a compilation of some of our favorite photos taken at San Francisco City Hall during the holiday season. This Gallery is just a brief sampling of their Christmas Nuptials. 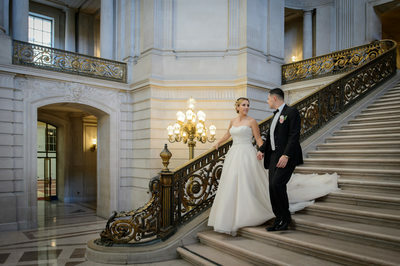 We took over 200 photos of them throughout the building after they booked our City Hall Plus Package. 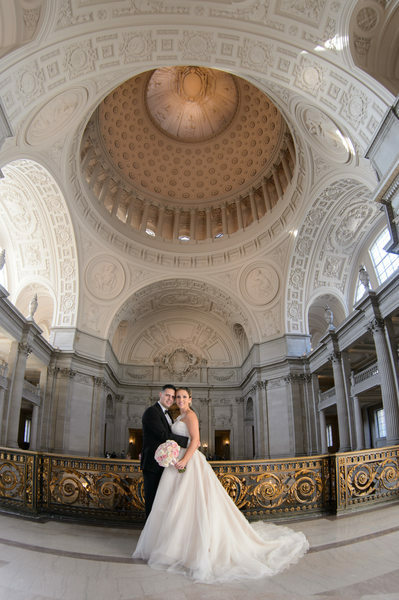 This package allows the couple to include Family and Friends in their photos and still have plenty of time to visit all 4 floors of this historic building. In addition, you receive 1.5 hours of coverage. 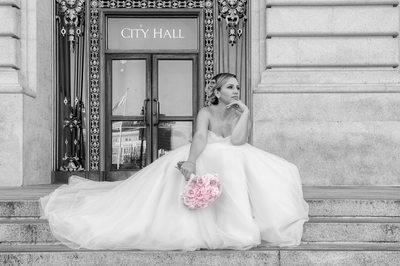 We have been a City Hall wedding photographer for over 9 years now and have been involved in at least 400 weddings. 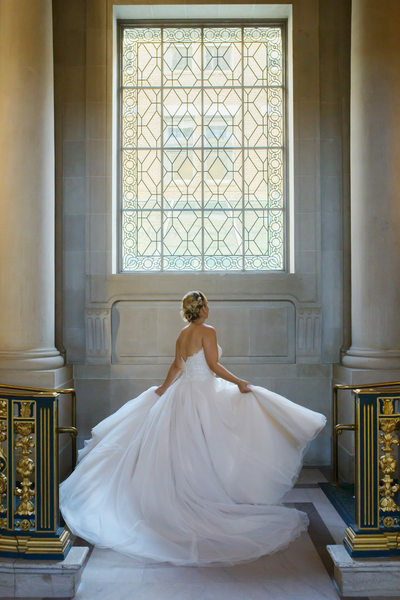 We love what we do and encourage anyone who is getting married at city hall to book a professional photographer. 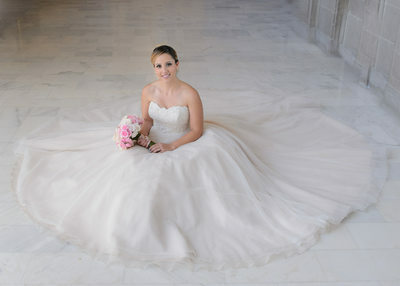 Not just us, but any of the leading wedding photographers who have experience there. You wont be disappointed and the additional cost is well worth it, because you will only get married to that special someone once. The photographs are all you have left when the day is over. Andrea and Noel were a great couple and we had a fun time taking their pictures. And no, Noel's name had nothing to do with them getting married at Christmas.... We asked! 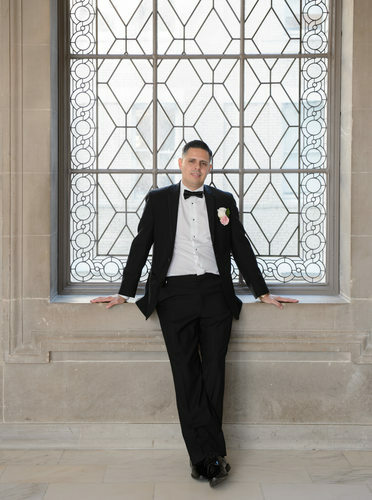 We were recently honored to be contacted by Andrea and Noel a couple years after their wedding. 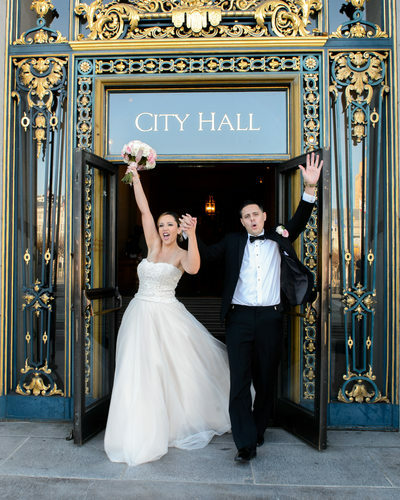 They were so happy with the results from their city hall wedding photography shoot, that they decided to have us also photography their family portrait. Guess where they wanted the portrait session? You guessed it! San Francisco city hall was their choice and they wanted to do it again at Christmas to get the tree and also incorporate their baby. They were quite happy with the results and it showed Toni and I what a truly great place City Hall can be for Family Portrait photography! I will be adding a gallery soon for their family photos so you can see what a great time we had with this wonderful couple. We have now photographed Engagement sessions, weddings and family portraits here!